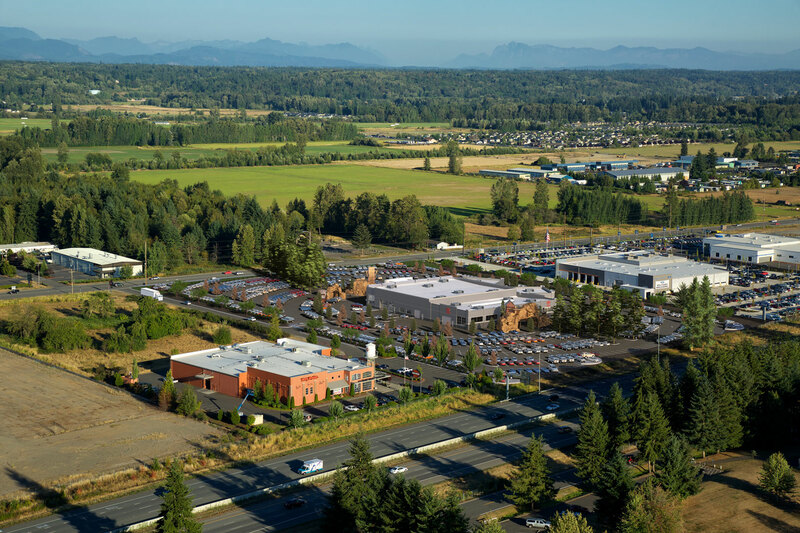 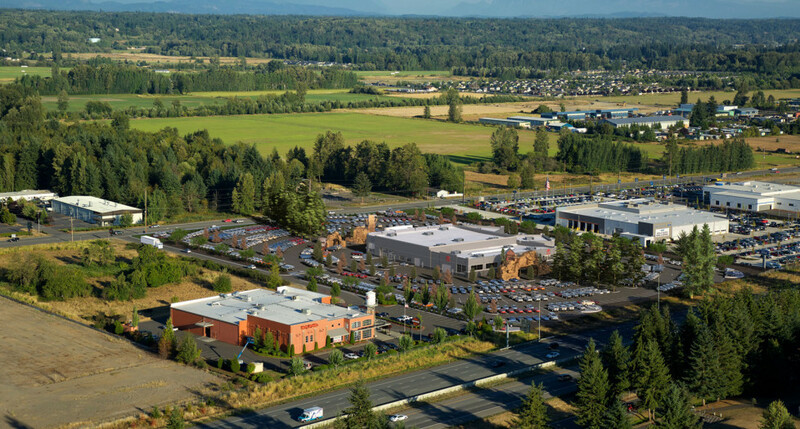 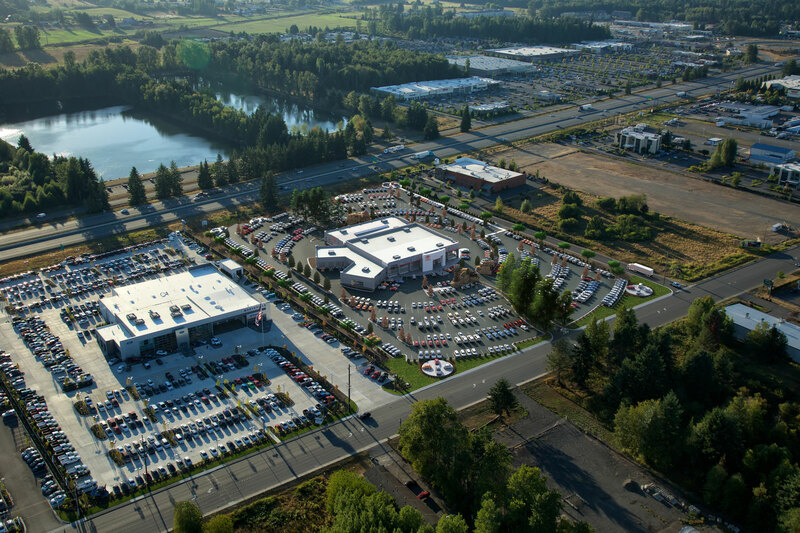 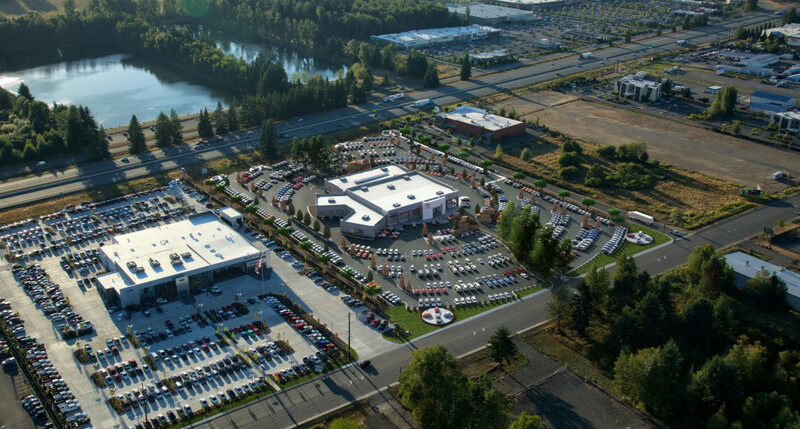 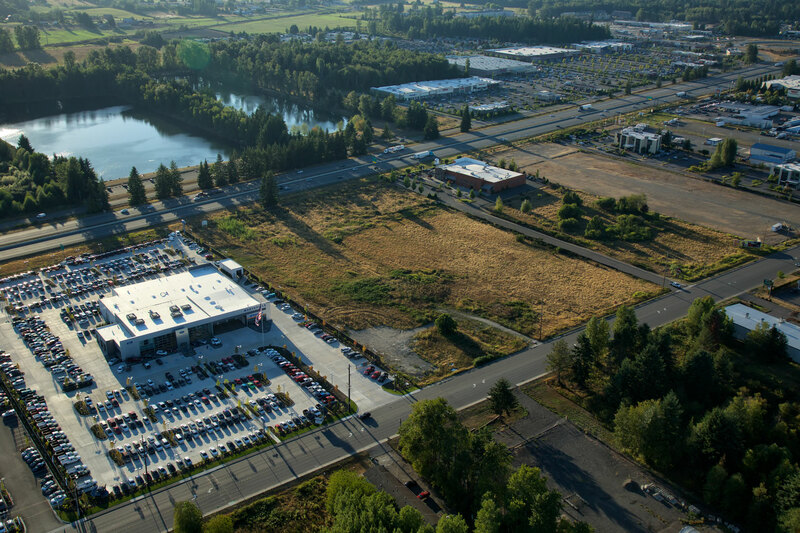 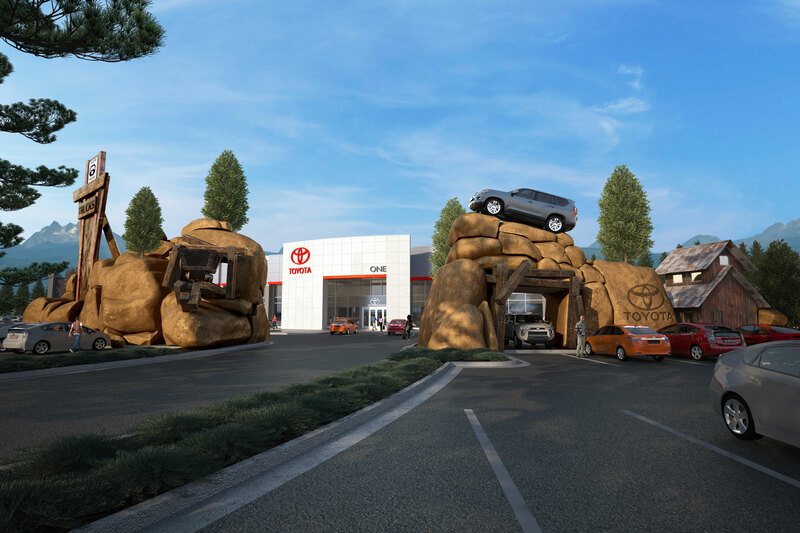 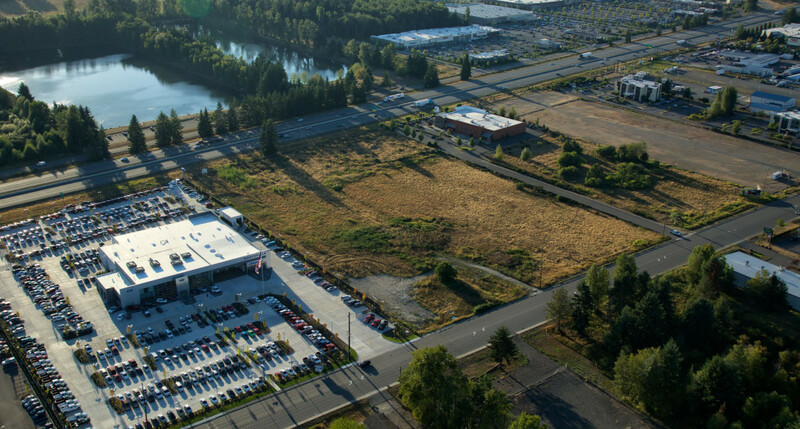 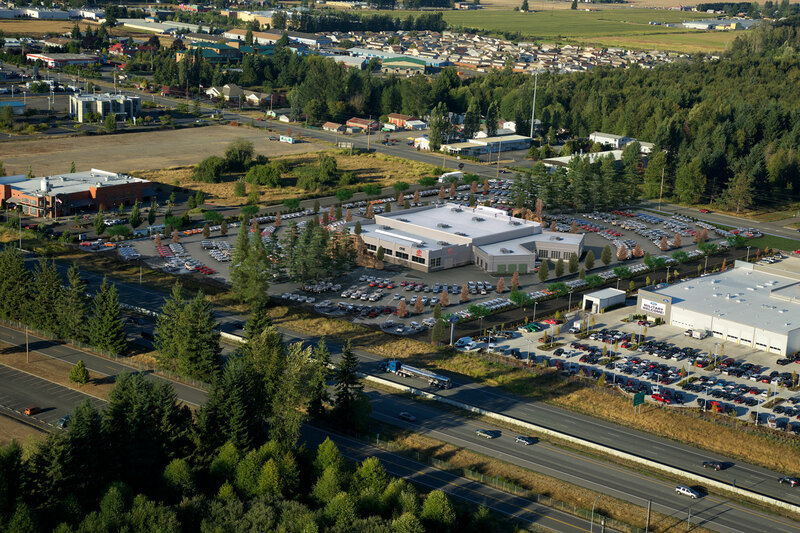 To be located in Washington state, Toyota One sits among the pines with the majestic Cascade mountain range off in the distance. 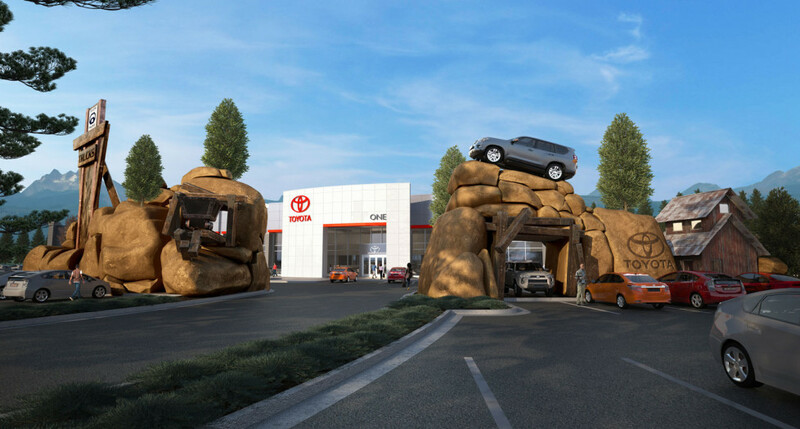 Renderings are for marketing and approvals. 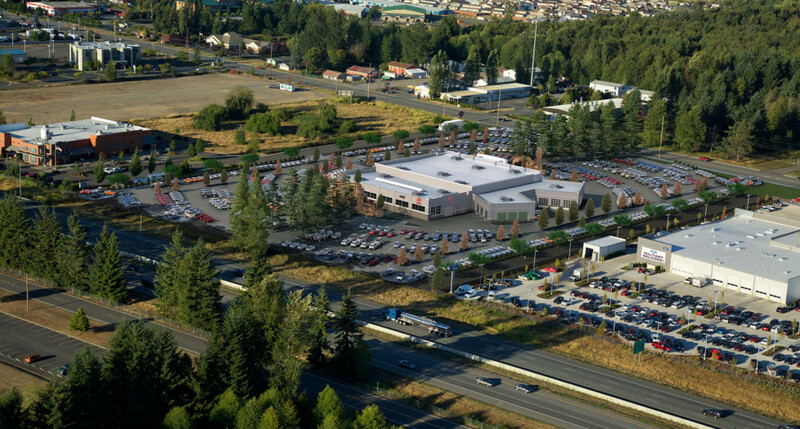 First image is the aerial photo of the existing site condition.